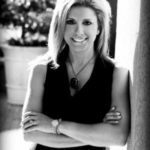 Cara Ameer is an award winning Broker Associate, REALTOR, real estate media contributor and speaker based in Northeast Florida. Cara brings over ten years of professional experience with the United States Senate, American Bar Association and in-house legal departments to every real estate transaction. Cara has regularly achieved top producer status as a listing and selling agent and has earned numerous awards receiving recognition both locally and nationally, including being named a Coldwell Banker Presidential Premiere Associate. She has consistently been ranked among the top ten agents within Coldwell Banker Vanguard for her production year after year. Cara has regularly earned the FIVE STAR REAL ESTATE AGENT designation by Jacksonville Magazine for Best in Client Satisfaction. She holds a Florida real estate broker's license and the Coldwell Banker PREVIEWS designation for working with luxury buyers and sellers. She also holds the Cartus Network Buyer Specialist, Cartus Marketing Specialist and Cartus Referral Specialist certifications for working with relocation customers. Cara is a designated representative of the SportsStar Relocation Network (SSRN), an exclusive group of real estate professionals dedicated to assisting professional athletes, sports executives, coaches and athlete staff with relocation and housing needs. Cara's channel on You Tube - Real Estate TV is dedicated to real estate programming on a variety of topics as well as property videos and commercials. Cara contributes as a real estate commentator for The Morning Show on WJXT, Channel 4 covering current real estate topics, trends of interest and features pieces. She is frequently interviewed by national media and has been quoted in articles for AOL Real Estate, CBS Moneywatch.com, Fox Business, MSN Real Estate, Realtor.com among many others. She is also a regular contributor for Coldwell Banker 's national blog - Blue Matter.